This isn’t an explicitly academic book, but I’m sure the academically-minded will find as much value in Ytasha Womack’s upcoming Afrofuturism as anyone else who has an interest in the cultural movements within the SF/F field. I first learned about the concept of Afrofuturism in an American Studies course on African American SF at the University of California, Santa Cruz. We watched Sun Ra’s Space is the Place, which I still think is a weird, but sort of brilliant film, and read a number of amazing works by folks like Nalo Hopkinson, Samuel R. Delany, Tananarive Due, Walter Mosley, and several others. I mention all of this so you’ll understand why I jumped up and down when I saw Womack’s book on Twitter. 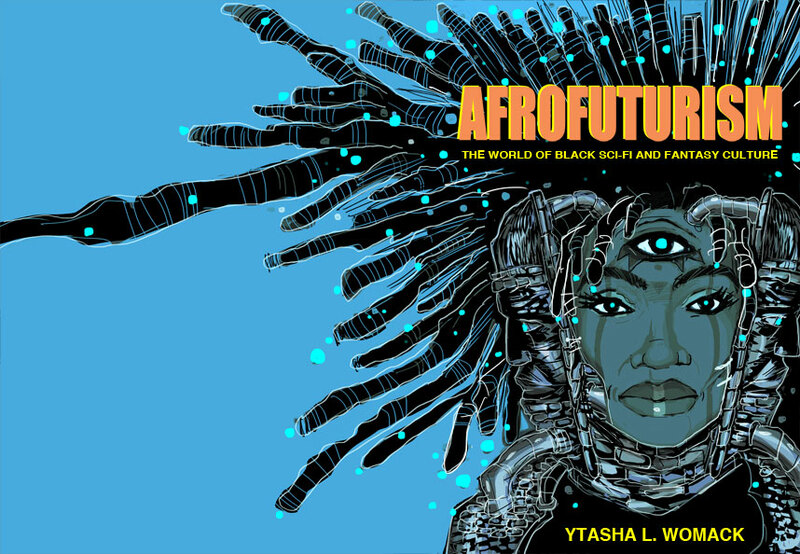 In this hip, accessible primer to the music, literature, and art of Afrofuturism, author Ytasha Womack introduces readers to the burgeoning community of artists creating Afrofuturist works, the innovators from the past, and the wide range of subjects they explore. From the sci-fi literature of Samuel Delany, Octavia Butler, and N. K. Jemisin to the musical cosmos of Sun Ra, George Clinton, and the Black Eyed Peas’ will.i.am, to the visual and multimedia artists inspired by African Dogon myths and Egyptian deities, the book’s topics range from the “alien” experience of blacks in America to the “wake up” cry that peppers sci-fi literature, sermons, and activism. With a twofold aim to entertain and enlighten, Afrofuturists strive to break down racial, ethnic, and social limitations to empower and free individuals to be themselves. Ytasha L. Womack is an author, filmmaker, dancer and futurist. Her book Afrofuturism: The World of Black Sci Fi and Fantasy explores black sci fi culture, bleeks, black comix, and the legacy of futurism. She is author of the critically acclaimed book Post Black: How a New Generation is Redefining African American Identity and 2212: Book of Rayla. She is also the coeditor of the hip hop anthology Beats, Rhyme & Life: What We Love and Hate About Hip Hop. Her films include Love Shorts (writer/producer) and The Engagement (director). Ytasha is a graduate of Clark Atlanta University and studied media management at Columbia College in Chicago. She resides in the Windy City. She can be found on her webpage, iAfrofuturism. Thanks for putting this on my reading radar! This time, we got the following crossword puzzle clue : Shunning the spotlight, maybe that also known as Shunning the spotlight, maybe 3 letters . First, we gonna look for more hints to the Shunning the spotlight, maybe crossword puzzle . Then we will collect all the require information and for solving Shunning the spotlight, maybe crossword . In the final, we get all the possible answers for the this crossword puzzle definition.